I feel like it’s a rarity when all the stars align and everything just happens perfectly. And when it does I’m so darn grateful. To kick things off, I had a phenomenal appointment with my rheumatologist recently. First, she’s a runner. Plus, she’s super easy to talk to. We chatted about everything: running, my running-related injuries, my sugar addiction and how fantastic I’ve felt since giving up trying to avoid the sweet stuff, and she tested all my joints and said they all feel fantastic. Afterward, I unfortunately had to sit for 10 vials worth of blood work. That part was not awesome. After the blood work, I went for X-rays and I was lucky enough to have an X-ray tech who happened to be a competitive runner in her younger days. I left the office feeling empowered and well-cared for. 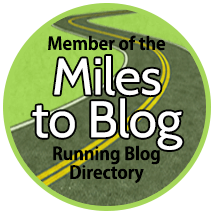 If you’ve been a Running on Happy reader for a little while, you’ll know that I’ve been making a conscious effort to really clean up my eating. I was very health-conscious before but after my diagnosis of arthritis I’ve stepped it up a notch. Yes, I’ve had slip-ups every now and again (ahem, Valentine’s Day) but for the most part I’ve been doing really well. I’ve been avoiding known inflammatories — namely sugar — and reaching for foods and beverages with known anti-inflammatory properties instead. Now that I’m in marathon training again, not only do I want to keep inflammation down as it pertains to arthritis, but I also want to keep it in check in all areas of my body. One of my very favorite anti-inflammatory foods (and beverages) are cherries and tart cherry juice. Cherries are very easy to snack on and I add the cherry juice to almost all my smoothies. Some mornings, however, I want something with a little more oomph in the anti-inflammatory department. I created a breakfast smoothie to take care of those extra little cravings — the sweet, the wanting to eat well, and the desire to keep inflammation at bay. It’s full of tart cherry juice, turmeric, kale, and blueberries so it definitely offers a big bang for your buck. Enjoy it with your avocado toast or some eggs! Combine all ingredients in a single-serve blender cup. Pulse until well blended. Sip and enjoy! What’s your favorite anti-inflammatory food? Do you add turmeric to your meals or recipes? Linking up with Confessions of a Mother Runner and A Whisk and Two Wands for Meatless Monday, and Marathons and Motivation for Fitness & Food. This looks so good! I never thought to use cherry juice in a smoothie but thats a great idea. I need to give this a try! I’ve been drinking anti-inflammatory smoothies every morning for the past month or so. It’s been fun experimenting with ingredients! I wish they were more magical, tho. I’m flaring again…back on high dose steroids. Oh, wow, I would not have thought to add tumeric. Sounds delicious! It is and you can’t really taste the spiciness of the turmeric. I don’t have turmetic on hand to add to foods, but I take a supplement everyday. And, I do have tart cherry juice…but forget to drink it LOL It is so tart, I’m always tempted to add sugar to it…. Tart cherry juice is the bomb! I love turmeric as well but I haven’t tried it in smoothies yet. I actually bought a bag of dried tart cherries from Trader Joe’s that I use in my protein bites. Very tasty. I love blueberry smoothies and that you added tart cherry juice and turmeric! What’s better than a delicious smoothie with anti-inflammatory benefits? Happy Meatless Monday! I love turmeric & probably don’t eat it often enough. I can’t do smoothies for breakfast in winter though! I can for snacks, OTOH. Sugar is definitely a tough one. And bloodwork — ugh! Omg, so much blood work. Lol! When she kept pulling all the vials out of the drawer my jaw kept dropping further and further to the floor. Isn’t that funny — I can’t do smoothies in the summer! But I can in winter. Which is strange because I’m a freeze baby. How does that even make sense. YUM! This is my kinda smoothie! Glad you had such a great weekend! That smoothie looks delish! I don’t have arthritis, but an anti-inflammatory diet is good for everyone! Truth. And it’s great for runners and CrossFitters, too! This is such a great recipe to have on hand for recovery in the mornings! Pretty too! It’s GREAT for recovery for sure! This sounds great, I need it in super-size! I have chronic pain / inflammation in my hands, mainly thumb joints, that needs all the preventative TLC available! Oh no! Quadruple the recipe and then just leave it in your fridge for easy smoothie enjoyment. I’ve never done frozen cherries, but that sounds amazing!! That smoothie really does look fantastic! 🙂 Yummy – I wish I had it in me to give up more sugar. I”m terrible with sugar! You are running grandma’s right? Looking forward to meeting you! Should be a great couple of days! YES to Grandma’s! I look forward to meeting you as well! I’m terrible with sugar. It’s been really tough to give it up and I haven’t given it up completely. But boy do I feel better without it! I love tart cherry juice… I try to remember to take a swig of the concentrate daily. Same here! It’s so good. I usually end up drinking a glassful if I’m not adding it to a smoothie. I have been using tumeric a lot more often lately too and doing research learned that it should be accompanied by black pepper to make it very effective. Your smoothie sounds delicious! We’ve recently started using turmeric a lot – this smoothie sounds right up our alley. I never would have thought to add turmeric to this. Great idea! Yep! Anti-inflammatory is where it’s at! Thanks for linking up, Courtney! I don’t know much about what foods cause inflammation. Definitely need to do some research! Thank you for sharing! I need to get back to making smoothies again! There are SO many foods that cause inflammation. The big one for me is sugar, though. Which is unfortunate because I’m a sugar junkie. That purple is so pretty! I’m sure it packs quite a nutritional wallop! My husband takes a supplement with turmeric for joint strength. He says he can definitely feel a difference. I’ve seen the supplements but I haven’t gone that route yet. I feel like I already take too many! But turmeric is supposedly wonderful and if your husband can actually feel a difference that speaks volumes. Now that looks like an anti-inflammatory powerhouse! I too love smoothies and have been trying to up my game in the anti-inflammatory department. One easy fix I made was to add cacao instead of cocoa to my chocolate-flavored smoothies. Both are healthy but cacao has quite a bit more antioxidants. I’m also taking Meriva which is a turmeric extract supplement that’s supposed to be especially bioavailable. I really need to start adding turmeric to more of my foods! I guess I’m just afraid. I’ve used it in Indian food but that’s about it. Don’t be afraid! Just add a little bit at a time. You can’t even taste it, really. I started reading up on the benefits of turmeric during my mother-in-law’s battle against breast cancer. Who would have thought that it would be so beneficial to add it to your diet?!? It’s so good for you. And I tend to agree –surprisingly so! I have not tried turmeric before but you had me at blueberries! I need to see if I can find it- looks like a great recipe! Turmeric is one of those spices that you can’t taste when you use a little bit, but you can taste it a lot if you use just a “little more” than a little bit. 🙂 It’s good but try it in small doses first to make sure you like it! The perfect smoothie for all our running aches and pains!! Looks so tasty, too! The anti-inflammatory ingredients definitely help with the aches and pains! This looks so good! I love tart cherry juice – and love that you’ve also used kale and avocado in this. Definitely need to make this! This smoothie looks delicious! Love that it’s packed with a ton of tasty antioxidants! Ohhh!! Cherry juice would be an interesting addition to this mix!! But I love it!